Join us and the DePaul Geography Department on Friday, October 25, 2013 from 5:30- 7:30 at the DePaul University Student Center (2250 N Sheffield, Room 220), as we screen The Illinois Geographical Society’s documentary “Remembering Jewish Lawndale.” This documentary is the first in the Giants of Geography Series which feature prominent Illinois Geographers of today. The film highlights Dr. Irving Cutler – former Geography Chair at Chicago State University – and his work with Chicago’s Lawndale neighborhood and its Jewish past. After the screening, we will have a Question and Answer session with Dr. Cutler and the producers of the documentary. Refreshments will be provided. GSC Members, DePaul students, Facility, staff: FREE. Non GSC Members: $10 at the door. 40 Maps that Explain the World. Great if you have an hour or two (or three) to kill. Check out these amazing photos of Saturn’s insane hexagonal hurricane. 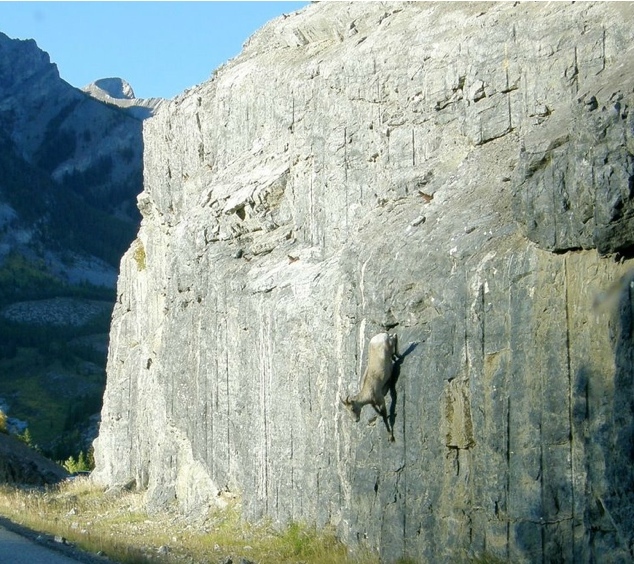 And finally… 13 Picture of Goats on Cliffs.